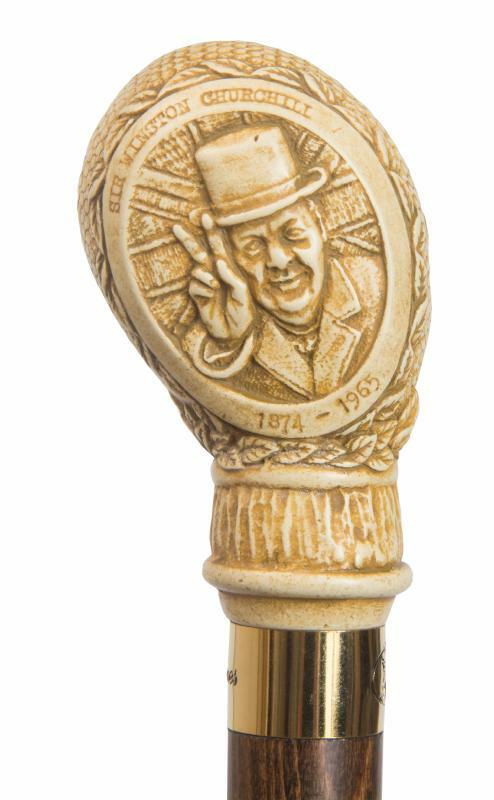 A beautifully made collector's cane, featuring Sir Winston Churchill giving his famous V for Victory salute on one side and a Spitfire aeroplane on the other. 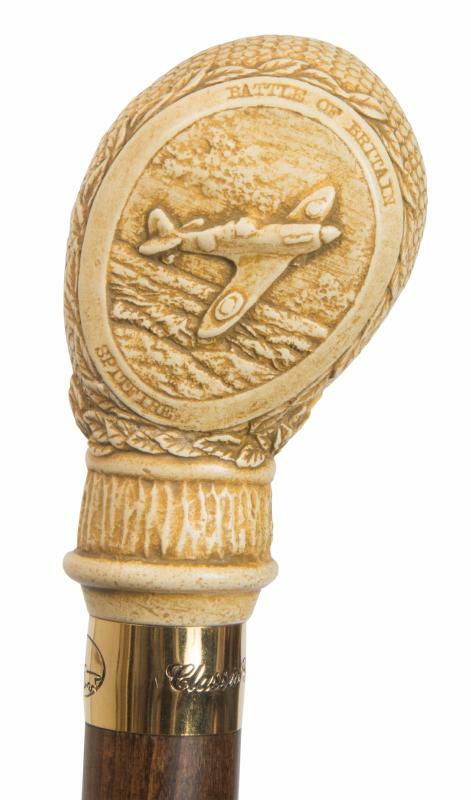 The handle is made from a tough resin and are mounted on a brown, beech wood shaft. It is fitted with a metal ferrule and smart metal collar. Ferrule diameter 19mm. These canes are suitable for use as an accessory on formal occasions, but should not be used for orthopaedic support and care should be taken not to drop the resin handle on a hard surface.